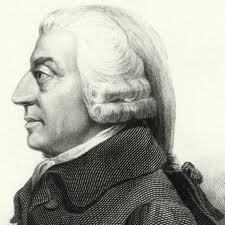 Writing over 230 years ago, Adam Smith noted the ‘juggling trick’ whereby governments hide the extent of their public debt through ‘pretend payments.’ As the fiscal crises around the world illustrate, this juggling trick has run its course. This paper explores the relevance of Smith’s juggling trick in the context of dominant fiscal and monetary policies. It is argued that government spending intended to maintain stability, avoid deflation, and stimulate the economy leads to significant increases in the public debt. This public debt is sustainable for a period of time and can be serviced through ‘pretend payments’ such as subsequent borrowing or the printing of money. However, at some point borrowing is no longer a feasible option as the state’s creditworthiness erodes. The only recourse is the monetarization of the debt which is also unsustainable due to the threat of hyperinflation. Boettke and Coyne resurrect Adam Smith to show that the debt and debasement patterns witnessed recently in Greece, Spain, Ireland and here in California are predictable and not unique to governments today. 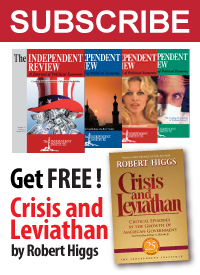 The crisis in Washington is not the result of extending the bush tax cuts or the spending of the Obama administration alone, but rather the accumulation of decades of expanding federal government and fiscal imbalance. As the authors’ state, “While pretend payments and the juggling of finances were able to hide the underlying realities for decades, the bill has now come due”.